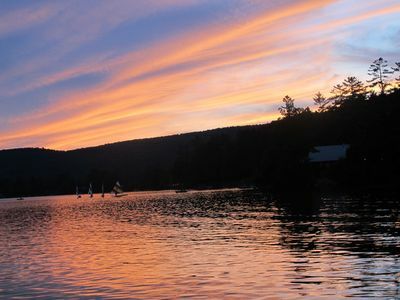 Come join us for a fun-filled summer! 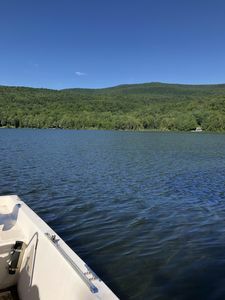 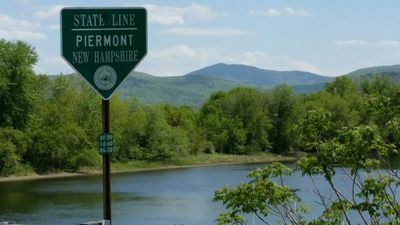 Rated one of the cleanest lakes in New Hampshire, Lake Armington is located in the foothills of the White Mountains in Piermont, New Hampshire. 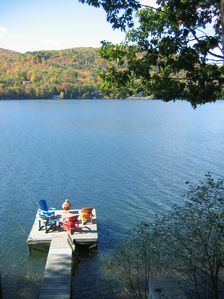 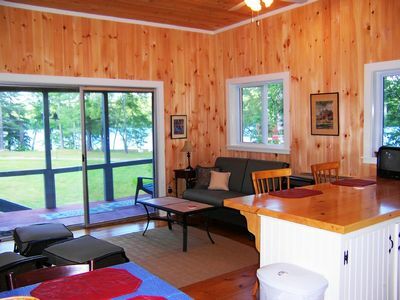 The Lake has loons, ducks & fishing (stocked) (you can purchase a license in nearby Warren, NH). 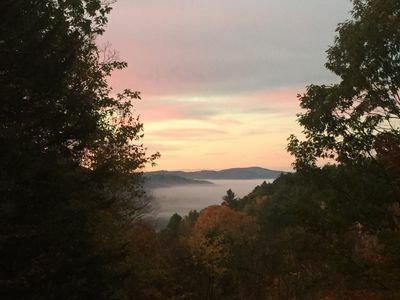 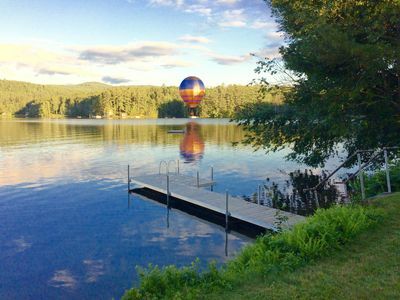 In addition to the lake, you can enjoy all of the fun things to do in New Hampshire's White Mountains & Lakes Region, as well as local activities & weekly events such as fairs, church suppers and more! 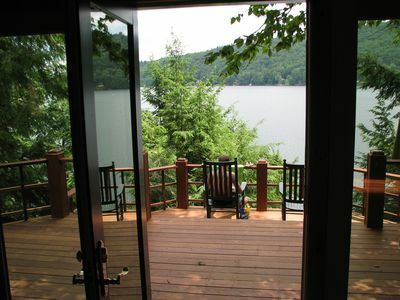 Lake Armington is located 2.75 hours by car from Boston, and 5.5 hours from New York. 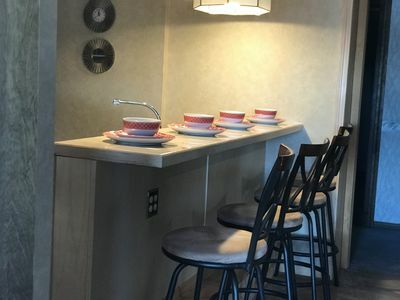 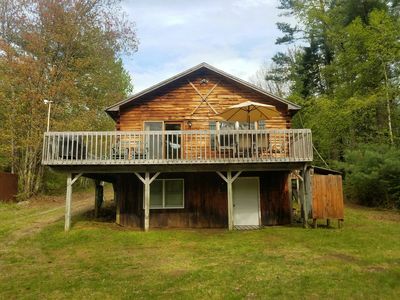 Cottage 4 features 4 Bedrooms, 1.5 Bathroom, Kitchen, Living Room, Dining Room, Large Loft (w/ Pool/Ping Pong), Large Balcony, Full Porch and more. 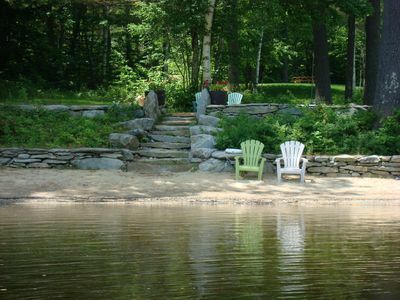 Cottage shares a sandy beach with 3 more cottages. 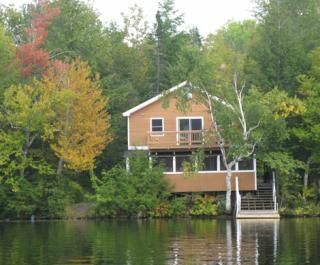 Ask us about possible off season discounts! 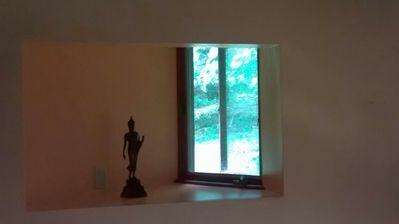 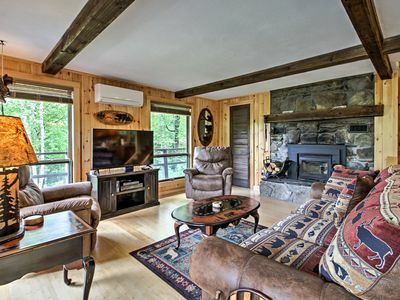 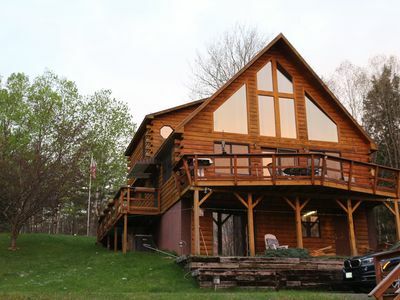 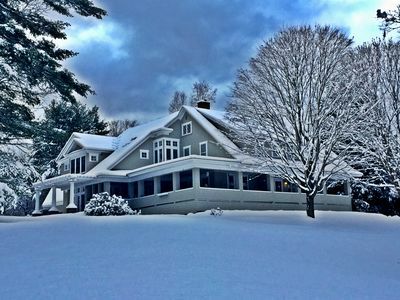 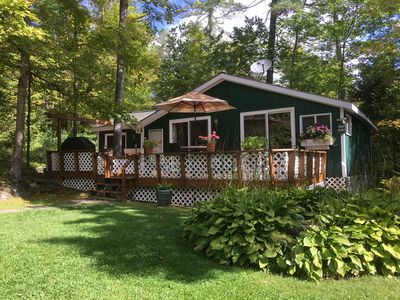 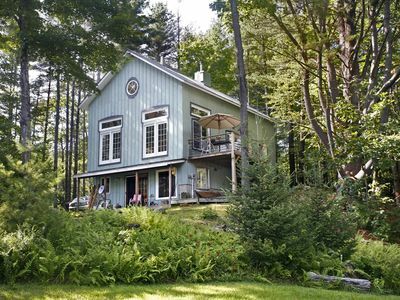 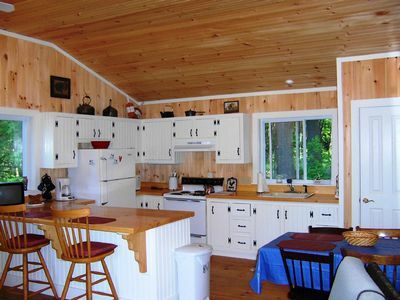 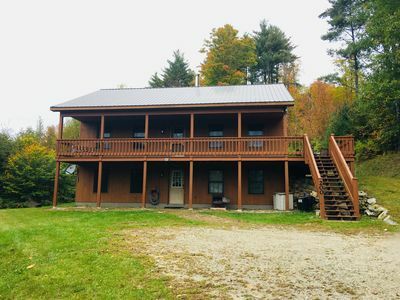 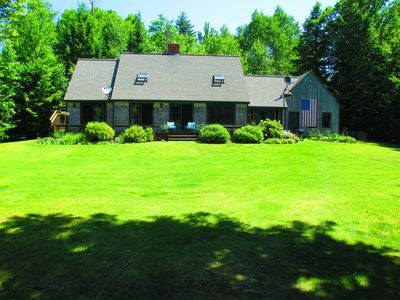 White Mountains Cottage w/ Mountain & Lake Views!